It is hard to beat out frustration in this time of year when jobs seems to run dry for everyone. Nonetheless, this must not hinder you from targeting an employment and improving your skills. Having a positive attitude is important whether you are out there job searching or just keeping yourself active and replenishing your outdated skills with new abilities and expertise. Therefore, while you are job hunting or on the lookout for possible layoffs in your company, then maybe it is time for you to beef up that resume and do some self-development activities. Since the workgroup is becoming culturally diversified and many companies are reaching out to foreign clients and workers, learning a new second language is a good way of improving yourself. Moreover, companies are also on the lookout for bilingual and multilingual speakers since they are now trying to extend their scope of service to other countries. Indeed, you may feel intimidated because you know only the basics of the language, but just telling that to a hiring manager can be an instant plus on your part. Why? Learning a new skill or language demonstrates your willingness and desire to learn, not to mention your self-discipline and dedication. Aside from these benefits, you also get to meet and socialize with others and learn about foreign cultures. This is where social networking can be of great importance. Yes, you heard (or more properly, read,) it right. individuals are encouraged to be social networking junkies. Involving yourself online is not only an activity that will serve as your pastime but it can also help in boosting your network contacts. Aside from having fun in connecting with people, you also gain a number of contacts that can be useful and valuable to a prospective employer. Individuals, especially professionals, are encouraged to have a blog site. Writing articles that talk about your hobbies or your industry is a way of promoting yourself professionally and improving your online presence. Offering to write for a local newspaper is another way of boosting your credibility as a professional. Improving your skills through classes and memberships is a good thing. Volunteering is also a good way of gaining confidence and improving the strengths of your resume. Getting involved for various activities and outreach programs can also increase your networks. Hiring managers are easily attracted to applicants with skills and expertise that are updated and are continuously harnessed. Therefore, instead of lounging with a bag of chips, try to move around and enroll yourself to any development classes available at your place. You can never tell when your photography or even drafting skills can be useful at your work. Interested in learning new corporate responsibilities? Why not try job shadowing. Job shadowing is when you ask permission from a certain individual to allow you to follow someone around to learn how they do their job. It’s a good way of getting a feel on the field. In addition, job shadowing serves as a venue where you can learn new skills and receive advice from professionals on your target industries. Many employees these days are deciding to work on their own. Having a business on your own can help, especially when layoff season occurs, enabling you to have a fallback job. Moreover, turning your hobbies into business can be a good training ground to harness your entrepreneurial skills. Building your resume’s capacity must not be a hectic and boring thing to do. All you have to do is check and search for activities that are beneficial and enjoyable. Self-improvement is a key to having an interview-worthy resume that is capable of obtaining interviews and eventually job offers for you. 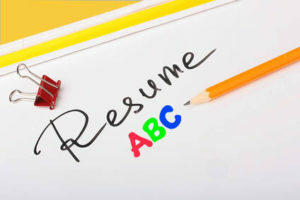 Also, don’t forget to watch out for any resume mistakes that can kill your job prospects.